Following the successful implementation of the transaction between JSE- and NYSE-listed Sibanye-Stillwater and JSE- and NYSE-listed DRDGold, Sibanye-Stillwater now owns 38.05% of the issued share capital of DRDGold, which is currently worth R895.7-million. Under the terms of the transaction, entered into in November 2017, Sibanye agreed to exchange selected surface gold processing assets and tailing storage facilities (TSFs) for shares in DRDGold. Sibanye also has an option to subscribe for further shares in DRDGold, enabling it to potentially hold up to 50.1% of DRDGold, within 24 months, at a 10% discount. 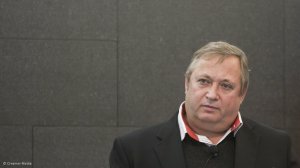 In a separate statement, DRDGold confirmed that its acquisition of Sibanye's West Rand Tailings Retreatment Project (WRTRP) assets has been finalised. 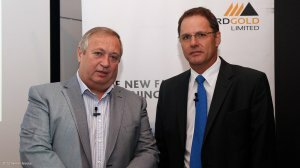 The acquisition, DRDGold CEO Niël Pretorius commented, is key to DRDGold’s growth strategy, increasing the company’s gold reserves by 90%. “The way is now clear for us to expedite Phase 1 of our phased plan for the development of WRTRP, to be known going forward as Far West Gold Recoveries,” he added. Phase 1 involves the upgrading of the Driefontein 2 plant to process tailings from the Driefontein 5 dump at a rate of between 400 000 t/m and 600 000 t/m and depositing the residue on the Driefontein 4 tailings dam. Additionally, DRDGold has secured a R300-million revolving credit facility from a South African financial institution for Phase 1. The company has also confirmed orders for most of the long lead items, and expects to be in production in the first quarter of 2019. “We are excited about the partnership with DRDGold, which unlocks value for our underutilised surface infrastructure and TSFs, while retaining upside to the WRTRP and future growth in DRDGold,” Sibanye CEO Neal Froneman commented on Wednesday. Further value, he added, will be derived from the future development of this long-life surface reclamation project.